A number of us took Father Ernesto’s advice at the Güemes Albergue to take the local train out of the industrial part of Santander up to Mogro. So I rode the train for 13.1 km (8.2 mi) and walked the remainder of 16.3 km (10.2 mi) through moderate rolling hills. The weather was comfortable in the low 70s and the path was along small country roads. Since I was nearly last to leave the albergue, I expected my compatriots to all be here when I arrived, there was only one familiar face and one came later. Now at 6:30 PM, the albergue has long filled its 16 beds. So I’m not sure where they are–but that happens on the Camino. Now for the surprise: In Jean Sartre’s philosophical novel “La Nausée”, Sartre described Santillana as the prettiest village in Spain (“le plus joli village d’Espagne”)–I quote Wikipedia. After walking up and down the few streets, I tend to agree, but the town has become a little kitschy with the many stores trying to sell tourists their souvenirs–as, by the way, has Santiago become, or all beautiful destinations, for that matter. 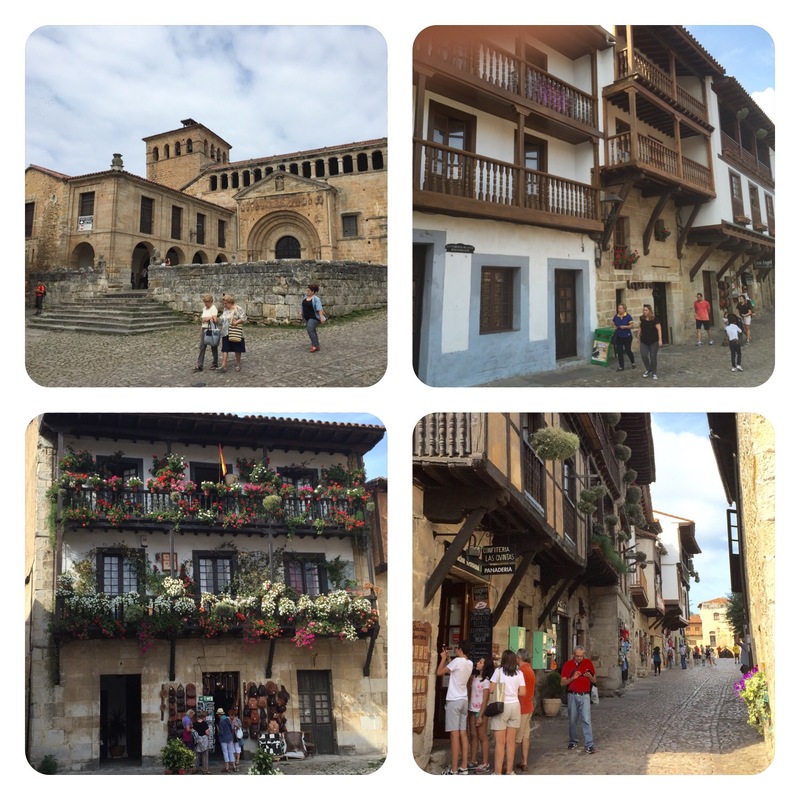 The pics I include are all from Santillana, the first being the Colegiata, a Romanesque church and former Benedictine monastery and the others being a sample of the medieval flavor of Santillana. I could have posted a dozen more, but these will do. Santillana nennt man auch das spanische Rothenburg ob der Tauber. Auf jeden Fall gibt es eine Menge Kitsch. Advice from someone who knows the area and can assist you in successfully accomplishing the next step of your journey is always appreciated! Sounds like Fr. Ernesto gave good advice and at day’s end you reached a lovely town! I enjoyed seeing the pictures of Santllana.